V Financial Partners is more than just numbers. We care about your finances, family, faith, and your future aspirations. We are a Cleveland, Ohio based financial planning*, insurance, and wealth management firm with clients nationally. With Tyson’s experience with Wall Street firms and international investors alongside Erin’s executive leadership in the healthcare industry, V Financial Partners creates a distinctive, blended approach to understanding the science and human impact of financial planning*. As you may just be starting out, in the heart of your career, or near retirement - we are here to help. Our Broker Dealer is NYLIFE Securities LLC. They focus on providing clients with world‐class brokerage services and a wide variety of investment options. 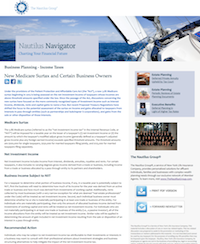 Our Advanced Planning Resource is The Nautilus Group®, whose employees have expertise in areas of law, accounting, and estate and business planning. Our Registered Investment Advisor Partner is Eagle Strategies LLC, a subsidiary of New York Life, allowing for institutionally managed investment portfolios and fiduciary financial planning services. Our Insurance Broker Partner is Crump allows us to use the top insurance companies as needed. *Financial planning is offered by Tyson Vines, financial advisor offering financial planning through Eagle Strategies LLC. 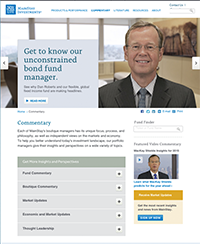 V Financial Partners is not owned or operated by Eagle Strategies LLC or its affiliates. ^Crump® is an independent distributor of life insurance. Crump® is an indirect subsidiary of BB&T Corporation, the sixth largest insurance broker in the U.S. and the seventh largest internationally. Crump® provides traditional and variable life, long-term care, disability and annuity products. Tyson’s father passed away when he was in college. Caring for his widowed mother was the top priority. The moment they met a financial adviser, emotions calmed and comfort flowed with a sound financial plan of investments and insurance solutions. After a strong Wall Street career helping sovereign wealth funds, pensions and private banks globally, Tyson wanted to own a financial planning practice. He founded V Financial Partners in 2012 with the mission to care for people and their businesses through personal finance and increase financial literacy in an enjoyable, open and honest way. Tyson believes everyone deserves an institutional Wall Street experience. Leaning on his global investment experience navigating the world’s largest investors through the Great Recession, V Financial Partners aims to deliver the same heightened experience to everyone. 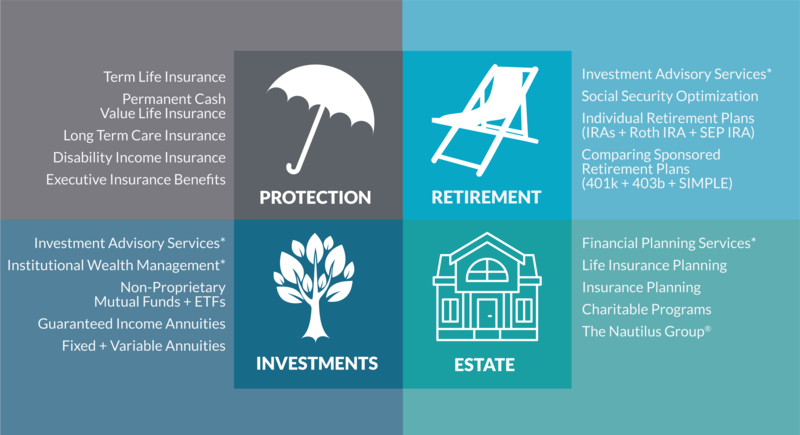 Tyson intentionally partners with New York Life, the largest mutual insurance company in the United States with the highest possible financial ratings1. The result is V Financial Partners can offer stability and confidence to run a strong financial planning practice to support clients for decades to come. 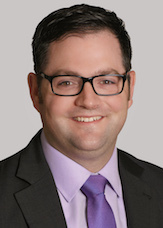 For six years, prior to establishing his practice, Tyson was a Global Consultant Relationship Manager with Victory Capital Management, an investment management subsidiary of KeyCorp. He also worked as a sell-side equity and investment banking associate with KeyBanc Capital Markets. Tyson is an accomplished 2013-2018 Million Dollar Round Table (MDRT®) member4, Top of The Table qualifier in 2018, New York Life’s Northern Ohio Agent of the Year 2012-2017 and a current member of New York Life’s Chairman’s Council representing the top 3 percent of advisors (Council is an annual recognition program for New York Life agents based on sales production). He is also a member of The Nautilus Group offering advanced planning solutions. While graduating from Ohio University double majoring in Accounting & Finance, Tyson met his wife Lorena, who majored in Arts Management, Voice and Italian Studies. They live in Aurora, Ohio outside of Cleveland with their sweet and playful daughter, Giuliana. As a family they enjoy traveling, singing, and the performing arts. V Financial Partners and Tyson Vines are here to help. Success is different for every individual… Your success is our mission. Your dreams, your goals, and what success means to you is as unique as your fingerprint. Our relationship-based business is steeped in understanding you and your needs. We all have a remarkable story; not just a story, but a lifetime that influences our priorities and what matters most in our big picture planning. This is where Erin begins with every single client she meets. Having worked in healthcare for almost 20 years, Erin has a passion to help others; to learn their story and create a completely individualized and dynamic strategy to help them accomplish their dreams. Her story is not unlike many. She grew up knowing the value of a dollar and the angst created when money is tight. This motivated Erin to grow far beyond the challenges without money to experience the freedom of wealth. This personal experience brings a unique insight and understanding to Erin’s work; to help people move beyond the difficulty of talking about their finances and create comfort with the planning process. Her goal is to make it easier, accessible and an experience you wish you had a long time before you met her. Erin’s personal interest in philanthropy comes from mission trips in Africa and Nepal as well as participating in environmental research on the Great Barrier Reef. These experiences have made Erin acutely aware of the impact a charitable gift can make in the lives of others; impacting both the giver as well as those who receive. By minimizing taxation, capitalizing on entitlements, and providing education for minimizing challenges in retirement, Erin's planning creates opportunities that maximize every possibility. Erin credits her consistent success to her “give first” philosophy in business - providing individualized information, less complicated education and helpful resources to everyone she meets. She has received numerous awards within New York Life and is proud to have achieved membership to the globally recognized Million Dollar Round Table (MDRT®) member from 2014 - present4. A graduate of Bowling Green State University (BGSU), she excelled academically while on a full basketball scholarship. Her academics continued at the Medical College of Ohio where she received her Bachelor of Science in Physical Therapy in affiliation with BGSU. Erin lives with her spouse in Chagrin Falls. 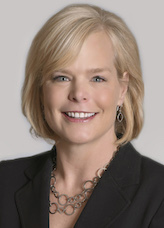 Noelle Johnson joined Erin Vick and V Financial Partners in 2012. She organizes, supervises and facilitates workflow for V Financial Partners and is a licensed service assistant. 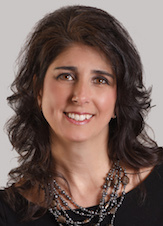 Noelle has a bachelor’s degree in Marketing from Kent State University. She has worked in marketing and sales with Medical Mutual, GTE Mobil and Alltel Publishing. She continues to work as Chief Operating Officer of the Johnson Estate, managing her husband and four children, three of whom are triplets. Jacob Phillips has been Business Manager for V Financial Partners for two years. 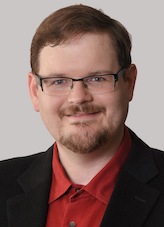 In this role, he assists in designing proposals, working with back-office partners, and completing reams of paperwork. Previously, Jacob was deeply involved in the political process, both in elections and in government. When not in the office he can be found traveling the world to places many cannot find on the map, cheering on Arsenal FC and Cleveland sports teams, and pondering what strange yet delicious cuisine to cook for dinner. 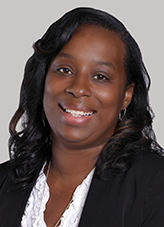 Nakita joined Tyson Vines and V-Financial Partners in 2016. She has an associate’s degree in Legal Secretary from Cuyahoga Community College. Nakita performs routine clerical duties and organization within the office. Married with two amazing daughters, Ariyon and Jaedyn, Nakita enjoys spending quality time with her family and traveling. 1 Based on revenue as reported by “Fortune 500 Ranked within Industries, Insurance: Life, Health (Mutual),” Fortune, 6/1/18. For methodology,please see http://fortune.com/fortune500/. New York Life Insurance Company (NYLIC) is a mutual life insurance company whose products are eligible to earn dividends. It is also the parent of domestic wholly owned insurance subsidiaries whose products are not eligible for dividends. 2Standard & Poor’s (AA+), A.M. Best (A++), Moody’s (Aaa), and Fitch (AAA). [Based on individual independent rating agency commentary as of 8/1/17. 4The Premier Association of Financial Professionals, is recognized globally as the standard of excellence for life insurance sales performance in the insurance and financial services industry. Once we have gathered all the necessary data and have a full understanding of your goals, this information will be carefully analyzed to develop a strategy designed specifically to meet your financial objectives. We will meet with you to deliver a proposed financial plan. Once all the details in your plan are agreed to, it is important to implement the plan. Should you choose to work with us to implement your plan, you will benefit from having a financial expert who is well-versed with your financial picture, preferences, and concerns to help you navigate changes in the market, changes in your goals, or other unexpected circumstances. 1 Life, disability, and long term care products available through one or more carriers not affiliated with New York Life, dependent on carrier authorization and product availability in your state or locality. 2 Eagle Strategies Financial Advisors cannot do a formal business valuation analysis. 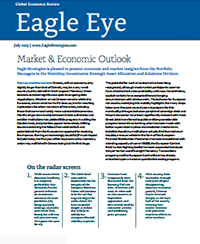 3 Eagle Strategies Financial Advisors cannot provide tax, legal, or accounting advice. Please seek the guidance of your own professional tax, legal, or accounting advisor before making any decisions. love what you do, and do it.